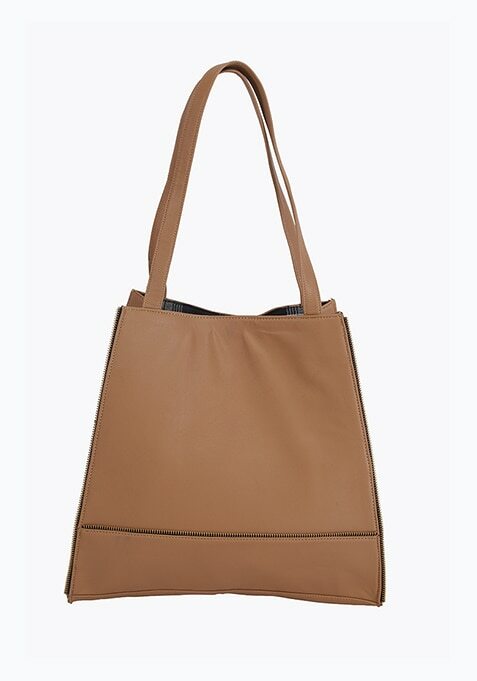 Invest in this trendy-meets-classic tote bag that features a bronze tone zipper detailing at the bottom and twin grab handles. Magnetic button closure inside. Work It - Looks rad cool with your classic denims and tee uniform for a day of shopping.